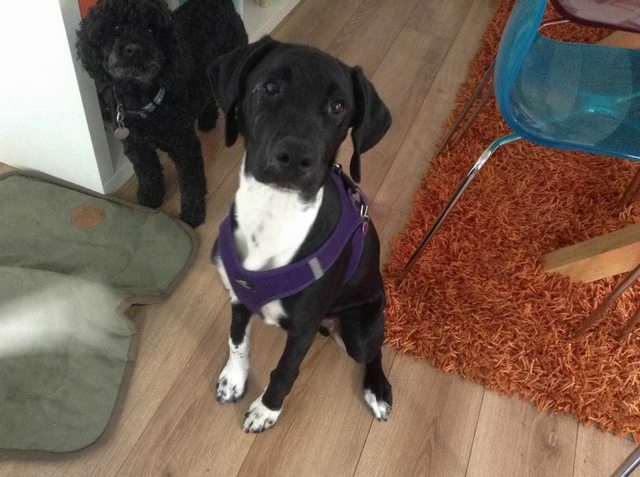 Sox is a 6 month old male Pointer Crossbeing fostered in Devon with teenagers, visiting toddlers and 4 dogs. This lovely boy was rehomed by us as a puppy 2 months ago – he has come back into our care due to the dog he was living with having bad food aggression which had got worse since the puppy had joined them which resulted in poor Sox being attacked and having to have stitches in his face. His heart broken family felt there was no choice but to return him to our care. He was living previously in a family home with 3 children under 10 – he had received quite a lot of training and has been taught recall to the whistle. Since being in our care and assessing him further its helped us decide what sort of home will be a good match for him. He is a really lovely dog and has a wonderful temperament – he walks well off the lead and has a good recall off the lead. He sleeps in his crate at night with no problems and is perfectly clean in the house. He has met his foster home grandchildren and was very sweet and gentle with them. 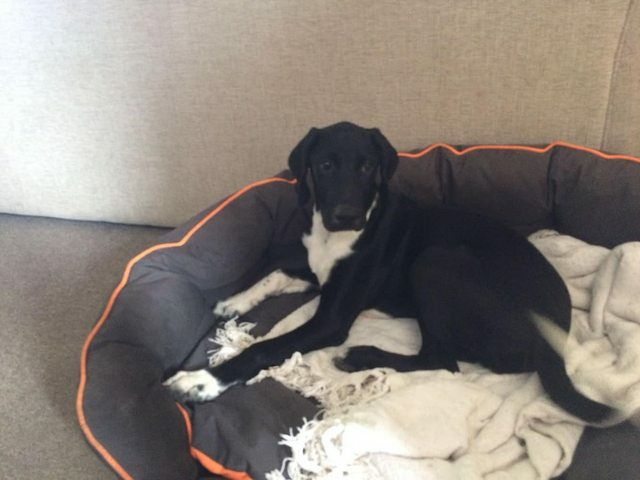 Sox is a high energy dog, he is a busy boy and likes to be in the thick of whatever is happening he is not one of your coach potato dogs – he loves to play with the other dogs and also other dogs when out. He will chew so has to be crated when you go out or are not able to supervise him which is general puppy stuff anyway. Even though he loves the other dogs he can be a bit of a nuisance trying to get them to play – he does not seem to be able to take no for an answer and we are wondering if he would be better homed as an only dog but with a family who has access to other dogs for him to play with as he does love playing but we think if you have an older one he would pester and if you had a younger one it could possibly drive you mad if they were bouncing around all the time. He will need an active home with active people where he could be in thick of it all – he genuinely loves kids but we would want older children, teenagers if possible as we think this sort of family would have more time for Sox than a family with little children. 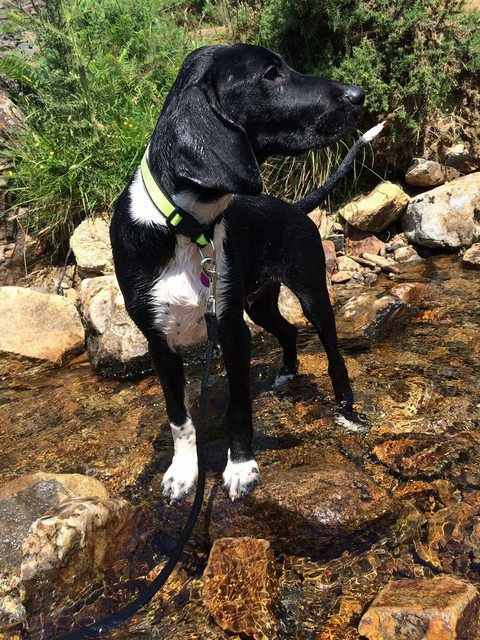 An active friendly dog with a super temperament who would benefit from dog training. This has to be his forever home this time and we think he would benefit from an experienced gun dog home or similar. Sox is too young to be neutered so you will have to do this as part of the adoption agreement when he is old enough, he is fully vaccinated, chipped and has his own Pet Passport.